I’m trying to be more intentional about blogging. As life in my photography world settles down a little I can focus more on blogging. My other passion is home interiors, I’m forever torn between minimalistic or cozy comfort. All the walls in my house are white, so I allowed myself this one small wall in my LR for wallpaper. This particular wallpaper is from Jimmy Cricket and I have loved it. But I am feeling the urge to switch it up! 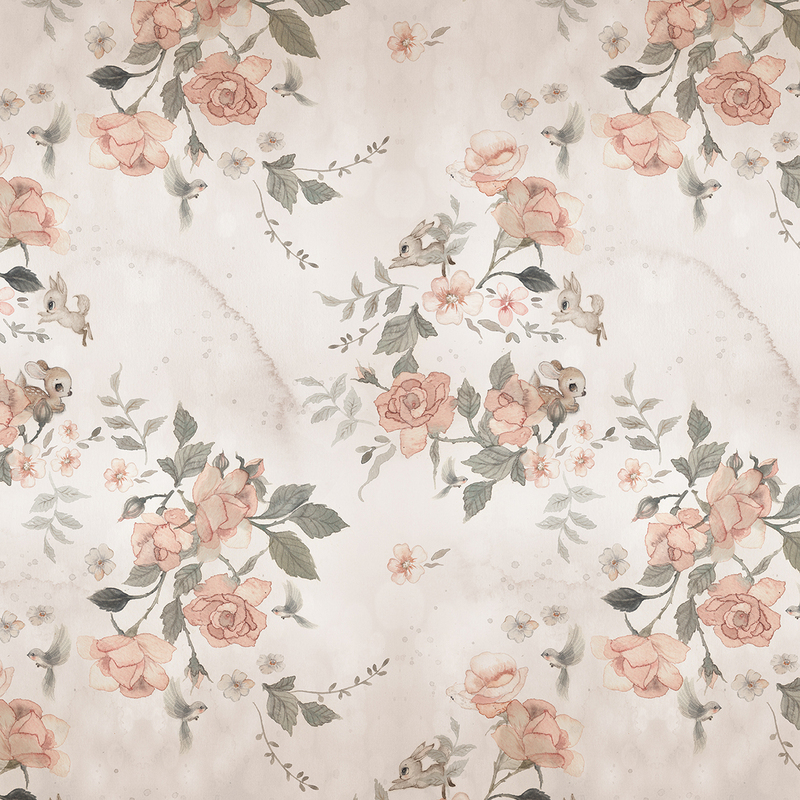 I’m currently completely in love with this new one called → Land of Roses! It has that vintage, neutral feeling but focused more on florals and cute little forest dwellers! Seriously, isn’t that the most beautiful wallpaper?! Plate & cup are from Anthropologie. Magazine is Click Magazine which features a spread by me called “Let it Snow”. See my previous post!